My family does a lot of outdoor activities, fishing, camping, hiking, etc. When we pack up to go there's always so much stuff to bring. It takes up space, not to mention gets heavy to carry all of the necessary equipment. 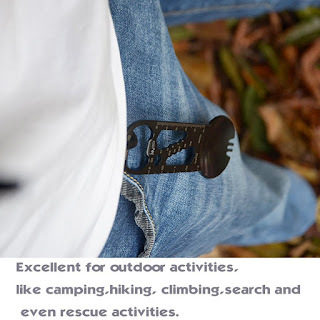 So, when I saw this iMustech Hiking Survival Tool I was excited to try it out and see what it was all about. It is actually an 11-in-1 tool, that saves a lot of space and weight in your backpack! It is made to last, made from 316L Stainless Steel and coated with a black non-stick coating to make clean up easier and will stand up to years of use. 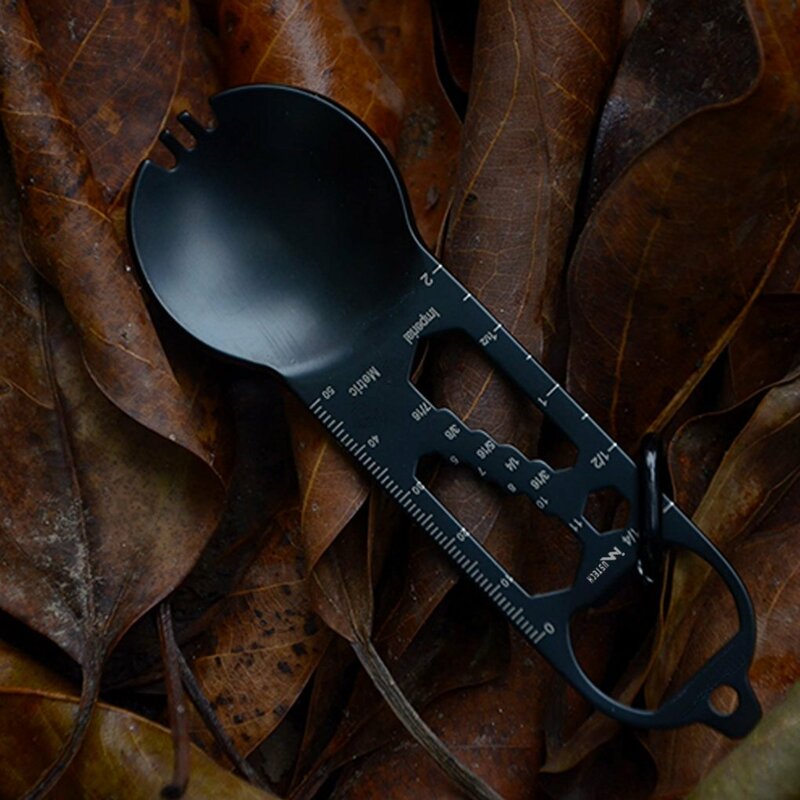 This multi-function tool measures 5.1 " X 1.7" , it's lightweight and doesn't take up much space in your backpack. 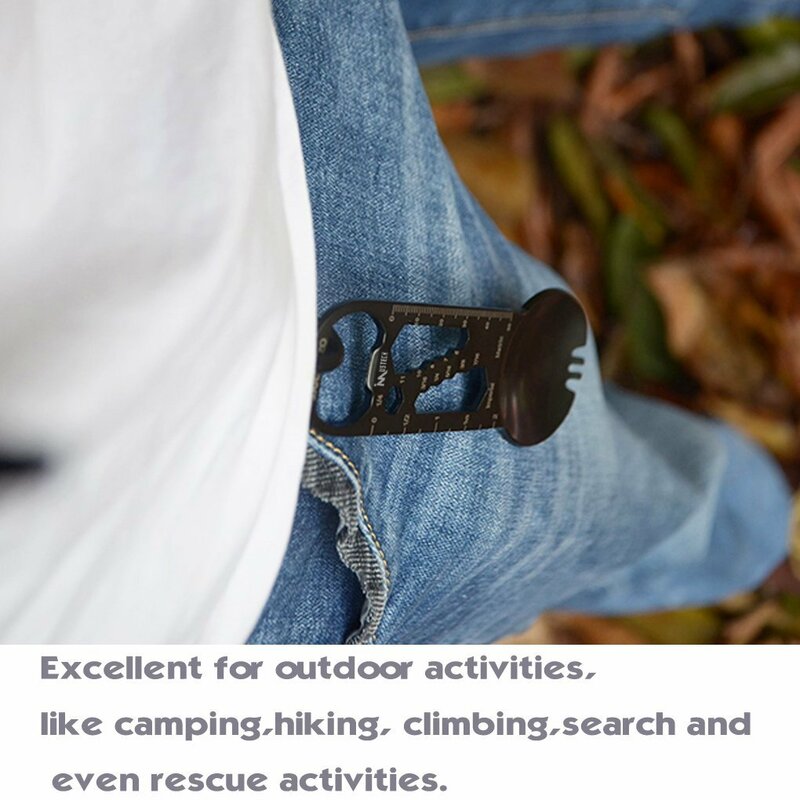 With the carabiner you can hook it on your backpack or your belt loop for easy access. 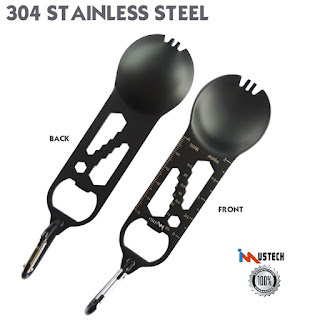 This tool is perfect to take with camping, hiking, climbing, fishing, picnicing, you can always be prepared.